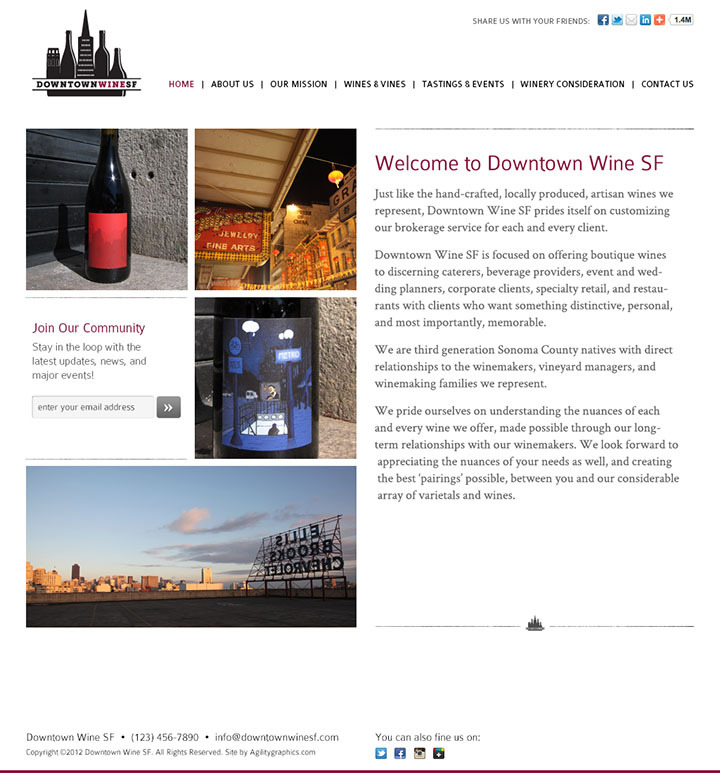 Downtown Wine SF is a brokerage service offering boutique wines for events, restaurants, and the general public. 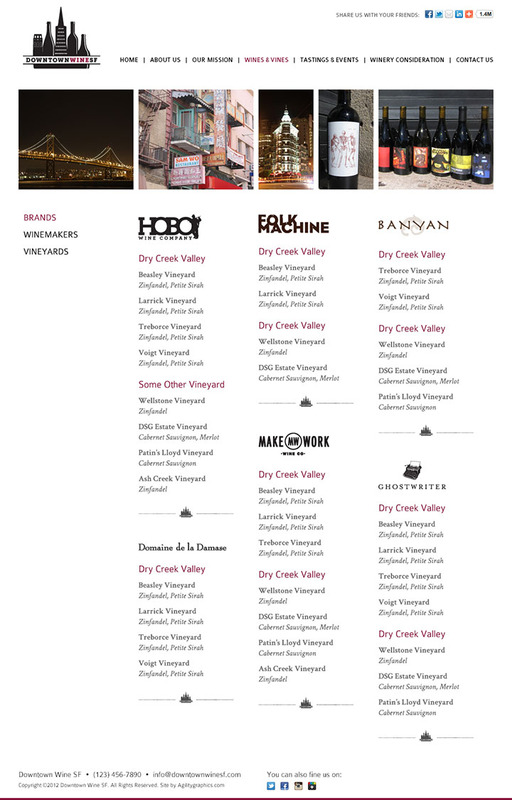 I was lucky to work with DTWSF on a new site, doing both design and development of a web site/blog powered by a custom WordPress content management system. 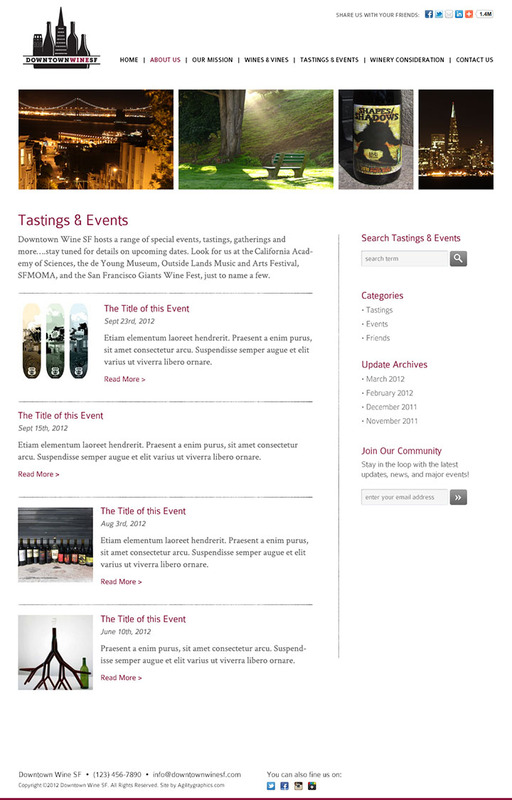 Although the company is still young, they are very successful, creating events for clients such as Google, SFMOMA, the Academy of Science, and the Walt Disney Museum.